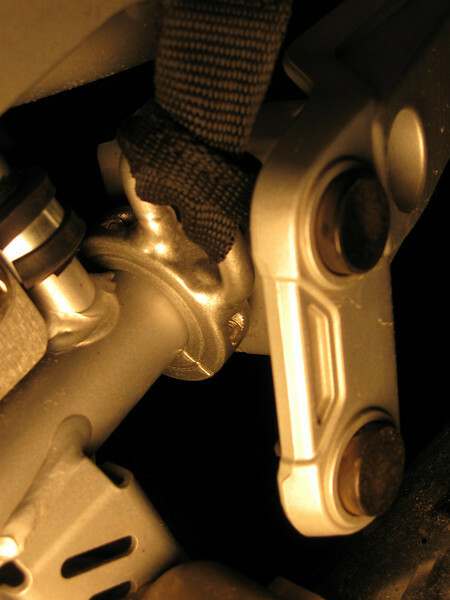 R1200GS tie down point. Pictured with web tiedown. Can be used with S hooks or bungi cords as well. Hand fabricated and TIG welded from steel. Gives you a secure place to tiedown your duffle bag or gear. Bolts on with two 1/4" S.S. bolts. Price $45.00 a pair. Left and right side.